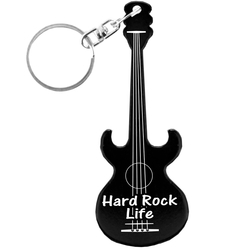 Rock your promotions and fundraisers with this dual function gift. Make stars of guitar fans of all ages with a personalized message. Bands and fans love these colorful keychain bottle openers. Include a QR code for even more impact.